In “The Power of Three” we take a year out in the life of The Doctor and in Amy’s words, it is “the year of the slow invasion, the time The Doctor came to stay”. Like Chris Chibnall’s “Dinosaurs on a Spaceship”, this episode has a Christmas Special feel to it but overall it was a bit of a rollercoaster ride. The episode begins with with a great pop culture montage of how we imagine life with The Doctor to be (adventure, aliens and explosions) compared to how it really is (waiting around for The Doctor to arrive). 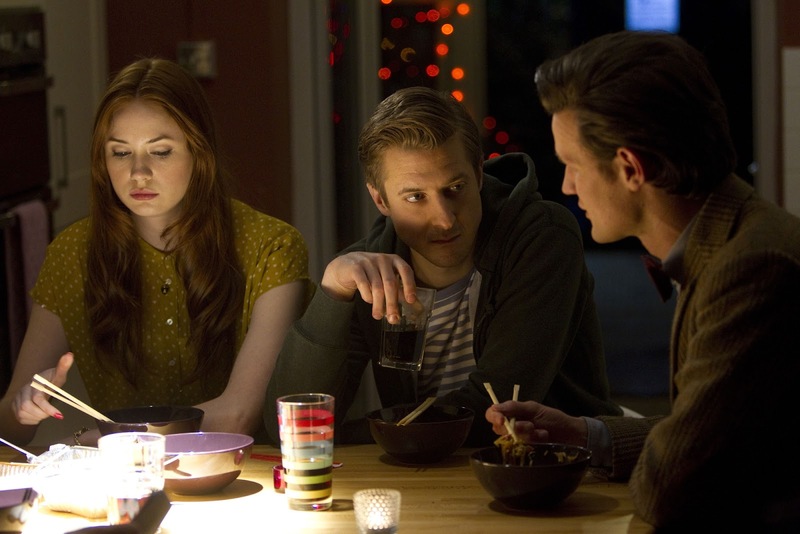 Rory and Amy realise that they must choose between ‘real life’ and life on the TARDIS. Just not today though. Little black boxes have begun to appear out of nowhere on planet Earth. They are perfect little cubes but nobody knows where they come from or what they are for. I expected not to like it. I’m not a fan of Whoniverse alien Earth-invasion stories not because I don’t like the concept (I was obsessed with the original V series after all) but because I rarely enjoy their execution. I get a little weary of these massive, apocalyptic invasions that are incredibly systematic and well thought out by the invaders but not as well thought out by the writers when it comes to plot, logic and the reasoning behind them. I didn’t love all of “The Power of Three”, or even most of it as I had with the first three episodes of season 7, but I did love a lot of it. I loved seeing Mark Williams reprise his role as Brian Williams, Rory’s father. He is such a fabulous comedic actor and it occurred to me that he certainly didn’t get enough chance to shine in the Harry Potter films. 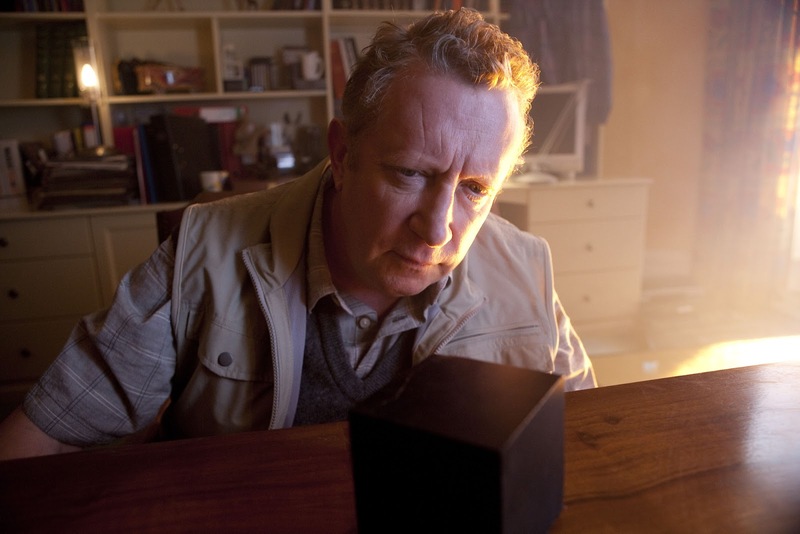 I loved the patient and indulging look in The Doctor’s eyes as Brian goes through every possible theory regarding the origin of the cubes. I adored The Doctor being busy, trying to entertain himself while waiting for the little cubes to do something, anything. I loved the return of fish fingers in custard and was shocked beyond belief when one of my non-Whovian friends admitted he eats Vienna sausages dipped in strawberry yogurt. There is a missed Doctor Who fan calling if I’ve ever seen one. 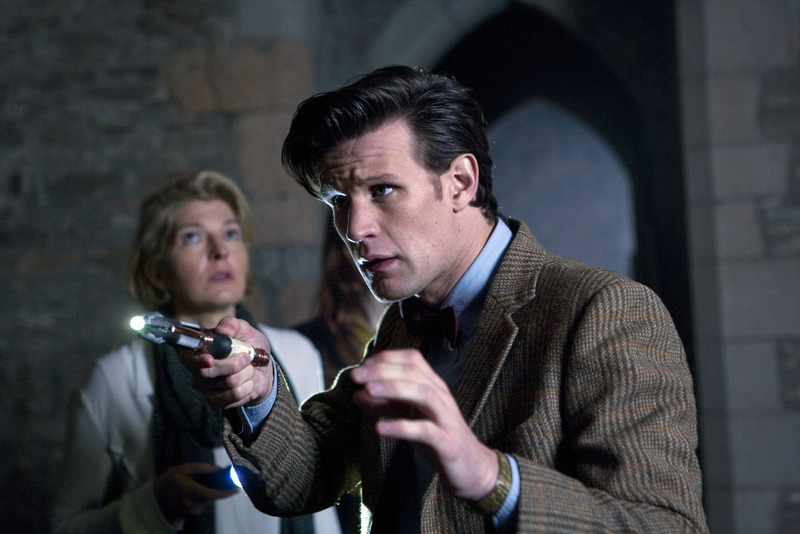 Most of all, I adored the conversation between Amy and The Doctor outside the Tower of London. I loved the views of the Shard and the Tower and I loved what was said. It was possibly one of the best scenes in the history of Doctor Who. Ever. I loved the quotes and lines in this episode. This is the type of dialogue that should send the Tumblr fan base into overdrive with awesome gifs and interpretations. And I liked that Rory and Brian got some great lines too. 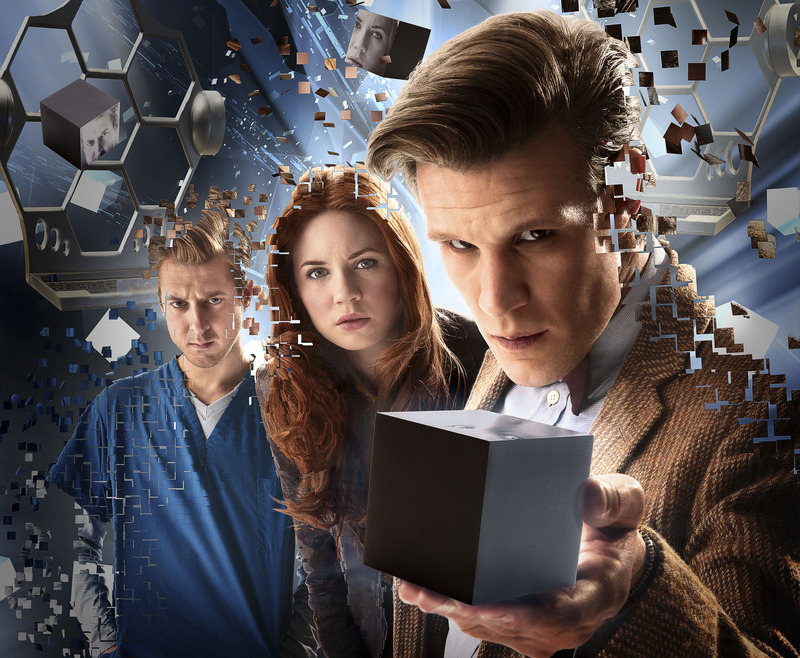 The Doctor: “Invasion of the very small cubes, that’s new”. The Doctor: “I don’t want them to be impressive. I want them to be vulnerable with a nice Achilles’ heel”. Rory: “What you do isn’t all there is”. Brian: “My middle name is diligence”. The Doctor: “Oh, if Fred Parry could see me now. He’d probably ask for his shorts back”. The Doctor: “Humans. The Great Early Adopters”. 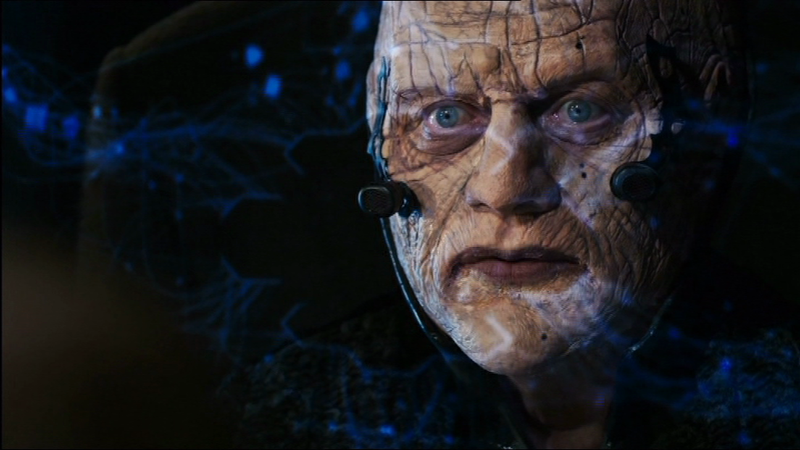 The Doctor: “The Shakri craft, connected to Earth through seven portals in seven minutes”. A couple of people complained that “Dinosaurs on a Spaceship” felt like a Christmas Special and while I admit that it had a big, ensemble cast feel to it, I didn’t mind too much. With “The Power of Three” we have another Chris Chibnall episode but I have to admit that it felt again like a Christmas Special and this time I didn’t enjoy it as much. It reminded me a lot of Torchwood: Miracle Day and not in a good way. I guess it also reminded me of “The Last of the Timelords” and “The Empty Child” too. Once again, I do love Chris Chibnall’s writing but for the first two-thirds of this episode it felt almost like a tribute to Doctor Who which took on too-large a plot to properly resolve in 41 minutes. The thought crossed my mind that I wasn’t enjoying this episode very much at all. Like Torchwood: Miracle Day, there were some pretty interesting concepts that were introduced but not properly followed through. Why bring in the Brigadier’s daughter Kate Stewart (Jemma Redgrave) if you’re not going to explore her role a bit more? Why design the terrifying humanoid forces with their deformed funnel-like mouths if you’re going to drop the topic minute we arrive in the spaceship? Have no fear, it wasn’t all bad and, in fact, I think it was all resolved the minute Rory walked into that goods lift. I loved the idea of the lift portal into the spaceship and I loved the vision and conceptualisation of Shakri (Steven Berkoff). I liked that The Doctor faced something that he didn’t know, something that he thought to be a myth. Most of all? I loved that for once, a massive Earth invasion has been planned and executed with a reasonable, realistic and logical end goal in sight. Shakri was quite explicit that he had sought to “halt the human plague before the spread”, before they colonise space. He emphasised that “the human contagion only must be eliminated” and I thought that presented a vivid picture of a universe years into the future where humans have destroyed, ruined and exploited planets, natural resources and populations just as they have done on Earth. It made perfect sense to me and I could absolutely see why this being, one of the “pest controllers of the universe”, would take the measures to wipe out the human race before we could even begin. 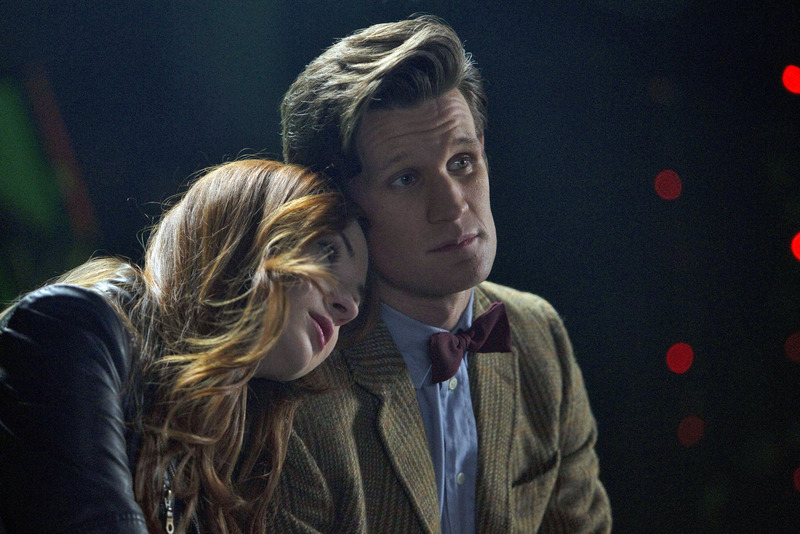 And then, just when you think it’s all over, The Doctor reminds us why we are human and what it means to be alive. The Doctor: “You want a tally. Put their achievements against their failings through the whole of time. I will back humanity against the Shakri every time”. I don’t often give away the ending of episodes (well, except last week and this week) but there was something about the Shakri’s final warning that “the Tally must be met” compared with The Doctor’s dismissal of him as a “talking propaganda poster”. So, a difficult, jumbled, busy episode that was absolutely redeemed by the final fifteen minutes. If only I could look forward to this week’s episode rather than feeling terrified of what is to come. Next Saturday, it all ends. And I am pretty sure that I will never be happy about that. What do you think? Are you looking forward to Saturday night? What are your predictions and what do you think of River Song returning? I loved the idea of the cubes though. Does anyone know where I can get one? Well, I think we have opposite views on episodes 3 and 4 :) I had that feeling of "I'm not enjoying this very much" halfway into episode 3. On the other hand, I really enjoyed episode 4, despite thinking the ending felt very rushed.